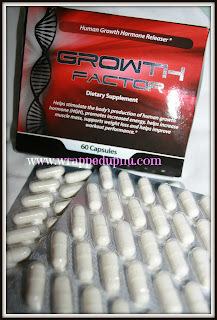 If you are looking to take your workout to the next level you might want to check out Growth Factor dietary supplement. You work hard to build your body into the condition, the people at Growth Factor want to help. They only bring you the best products on the market to help you increase lean body mass, aiding in the reduction of fat mass while promoting bone density. 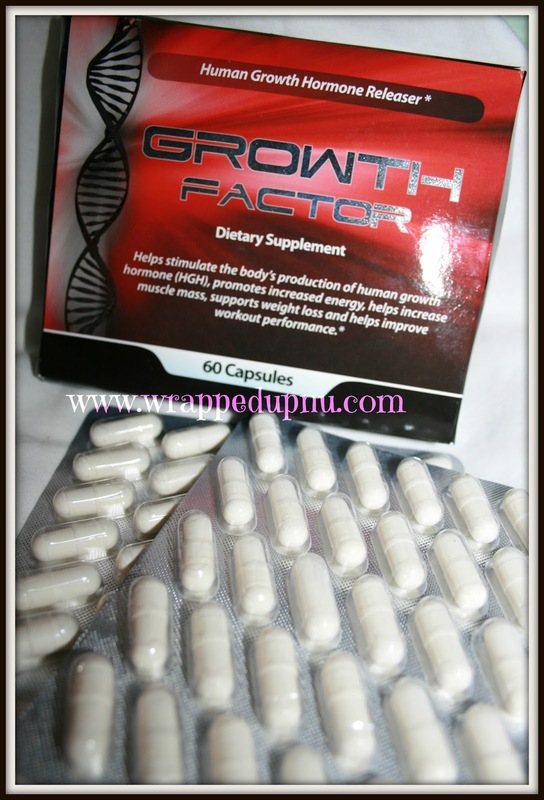 Growth Factor comes in a blister package of 60 easy to swallow capsules. Recommended dosage is 2 capsules per day with a meal or as recommended by a physician, So I package will last you a total of 30 days. Growth Factor shipped out quickly was well and discreetly packaged. Bring the max benefits to your workout with Growth Factor, make sure to check out their web page for sales specials today. Growth Factor contains AstraGin,which clinical studies show helps arginine absorption by 62%. Growth Factor contains a proprietary blend of amino acids designed to propel your muscles to maximum performance. Bodybuilders power lifters and athletes use Growth Factor for 'bulking up' after intense exercising. The vasodilators in Growth Factor strengthen capillaries to fill the muscles with blood, giving you an incredible pump. Growth Factor delivers it's amino acid blend to your straining muscles, providing them with the nutrients they need for sustained development. Amino acids provide the base matrix your muscles require to develop fast, to get that thick, skin splitting, vein popping power. Growth Factor also prevents uric acid from building up in your muscles, promoting in-workout recovery, faster post workout recovery time and less muscle pain. Growth Factor strengthens blood vessels and capillaries, to improve blood flow to the muscles. This helps your body repair any cellular damage caused by overzealous exercising or injury to minimize recovery time and get you back in the gym or back on the field. The combination of increased muscle development, improved strength and reduced recovery time provides you with everything your body needs to intensify your workout. This creates a powerful feedback loop with one amazing outcome: mind-blowing muscle growth. 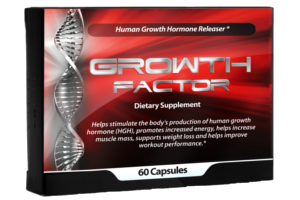 Growth Factor is a safe and easy way to get that unbelievable athletic build you've been working towards. Bibliography - Paul, S. 2018. “Horny Goat Weed Review: Treat Testosterone or Erectile Dysfunction?” Testosteroneofficial.Com Ie. Testosterone Official. September 11. https://testosteroneofficial.com/research/horny-goat-weed/.